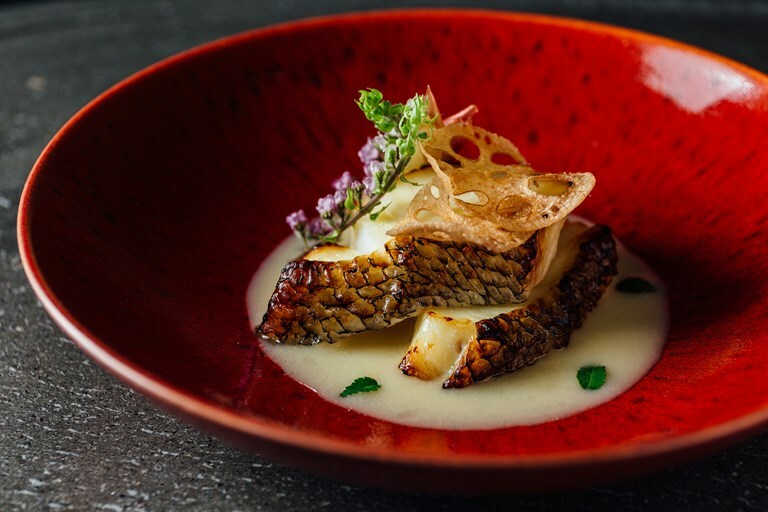 The flavours of crisp Champagne, tangy yuzu and sweet white miso contrast beautifully in this baked fish recipe by Hideki Hiwatashi. Be sure to plan ahead when preparing this dish, as the chef recommends marinating the fish for three days for optimum results. 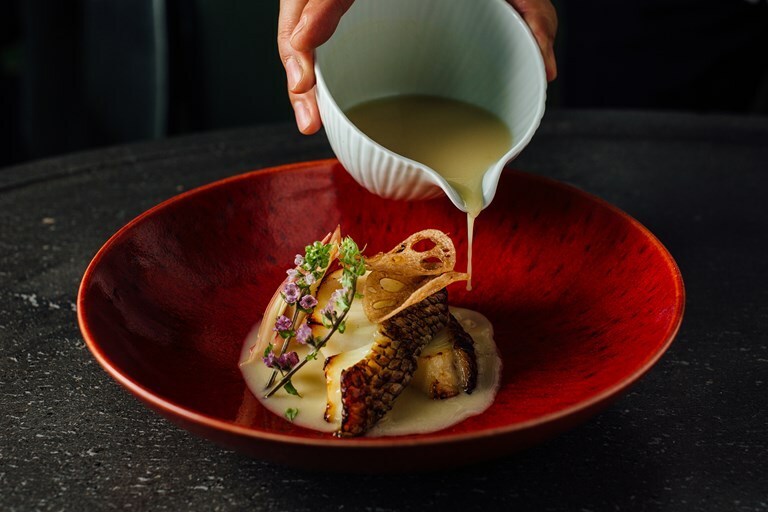 Chilean sea bass is, despite its name, a variety of cod prized for its juicy, flaky white flesh and smooth, buttery taste – if you are unable to source any, use good quality cod as a substitute.